"How tall are those bell pepper plants anyway? ", "Look, Daddy, do you see that? They look like roses!" and "Are you from around here?" 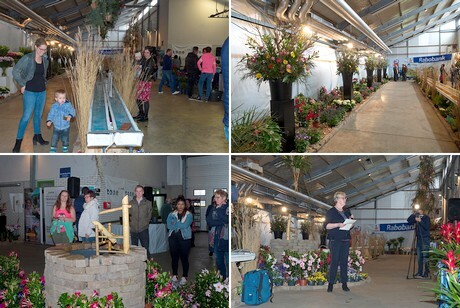 These are some of the questions and cries that were heard often last weekend, during the 42nd edition of the Dutch open days of the horticultural industry. During the two days of Get in the Greenhouse, spread out over 23 regions, 210,000 people visited the 200 entrepreneurs who opened their doors. Beautiful spring weather did the rest and ensured a massive influx. 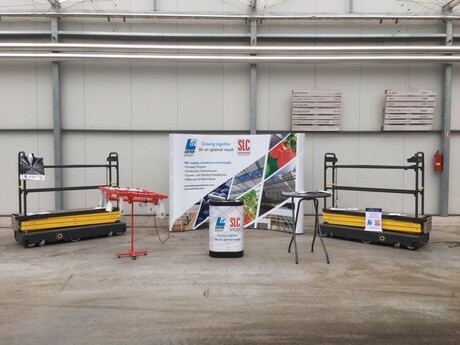 Also our colleagues of BPnieuws.nl and GroentenNieuws.nl, were visiting several growers at different locations. Check out the photo report here. Whereas every now and then it might seem as if all of the Netherlands is horticulture, this for sure isn't true. 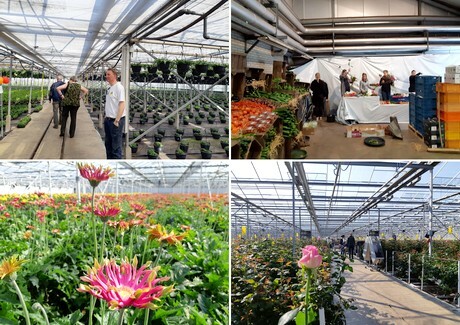 Even though there are over 3,400 greenhouse companies in the Netherlands and the country is quite small, it still is possible to live a vivid live without ever setting foot in a greenhouse. 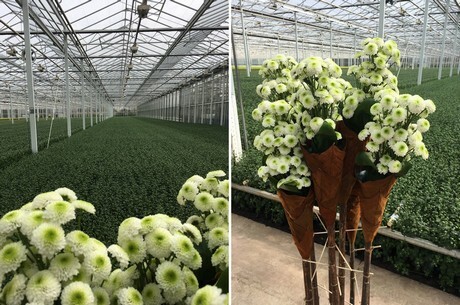 Many Dutchies aren't even that proud of their horticultural industry, and even though quality is getting more and more important, price is still quite often the main motivator when buying produce. Growing asparagus in a greenhouse! 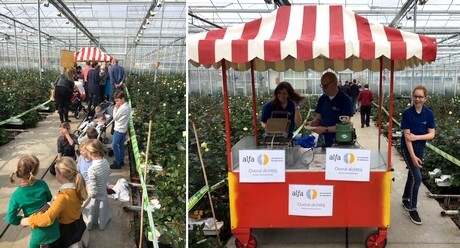 With the annual event Get in the Greenhouse, or Kom in de Kas as it is called in Dutch, every year the industry tries to change this and opens up to whoever is interested. The first weekend of April is the moment every year when parents show their offspring for the first time what a greenhouse is like on the inside. At the same time it provides a great opportunity for anyone with a past in greenhouse horticulture to see how things are going with the sector. 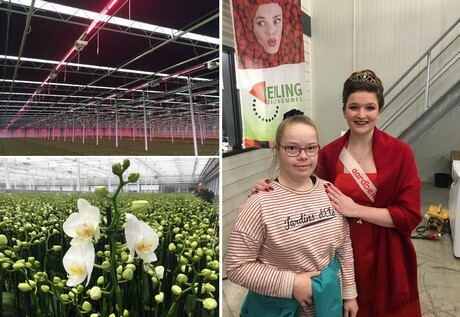 In addition, many people naturally visit the entrepreneurs in their neighborhood, but visitors from outside the region or even outside the Netherlands were able to find the greenhouses. Who will work in horticulture? Nowadays greenhouses are larger than ever, with increasingly sophisticated cultivation techniques where healthy food and the most beautiful floriculture products are grown in the most sustainable way possible. Everyone would want to work in such a growing sector, you would say if you heard all the enthusiastic responses last weekend. Yet it appears that this is not entirely the case - and that's an understatement. Greenhouse horticulture entrepreneurs and horticultural suppliers, they too were well represented both in the World Horti Center and with the growers in their sheds. These days they often have to move heaven and earth to find sufficient staff. 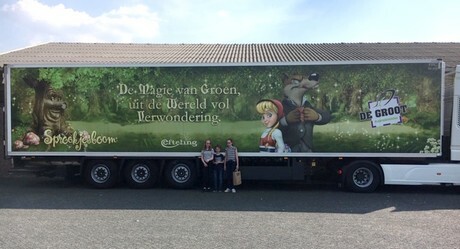 For that reason, many companies had inviting posters on the doors to tempt people to apply, while Glastuinbouw Nederland and VNO-NCW, for example, were also campaigning to encourage young people to work in the greenhouse. 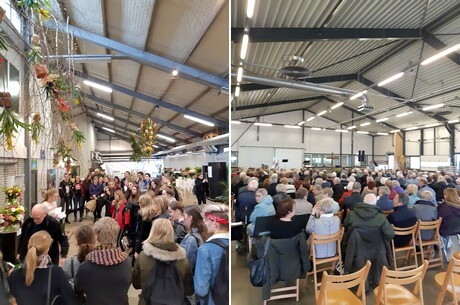 The World Horti Center was opened during Get in the Greenhouse itself. 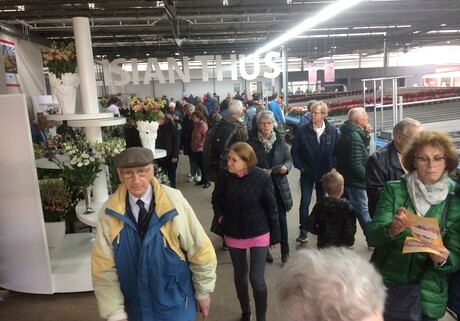 It was a little less busy there than last year, but nevertheless no less fun, according to the participating horticultural suppliers. Click here for a photo impression by the World Horti Center itself and certainly view the photos that we took at the World Horti Center. View the photo report of a weekend of looking at greenhouses. And then it's waiting for next year's edition. Kom in de Kas will then take place on 4 and 5 April. As it is such a large event, our colleagues could not make it to visit all 200 participants. Yesterday, we received a lot of pictures made by the visitors and participants. 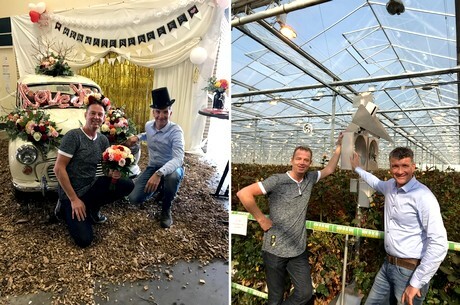 Of course, the new mayor of the Westland area, Bouke Arend, was visiting greenhouses. Amongst others he visited pot plant nursery J&P Ten Have and pepper nursery Overgaag. Dutch newspaper AD Westland was present to make a report (in Dutch). 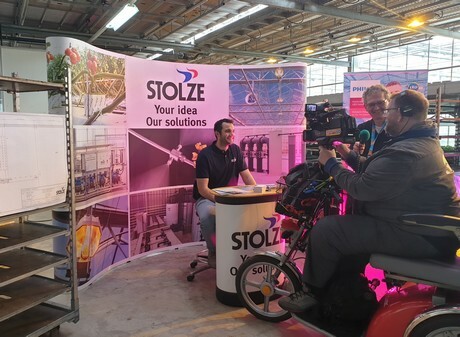 Tom Markus of Stolze, had a booth at J&P ten Have and was interviewed by a regional broadcast.